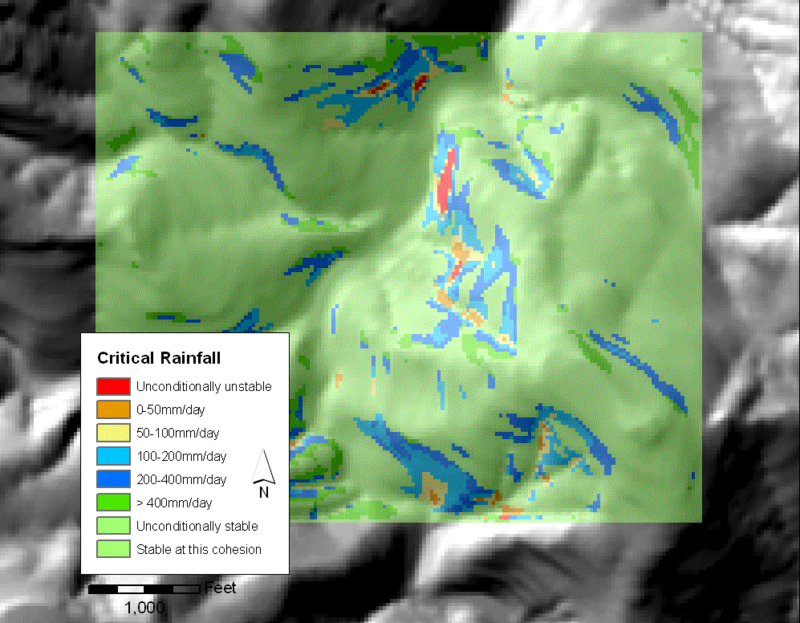 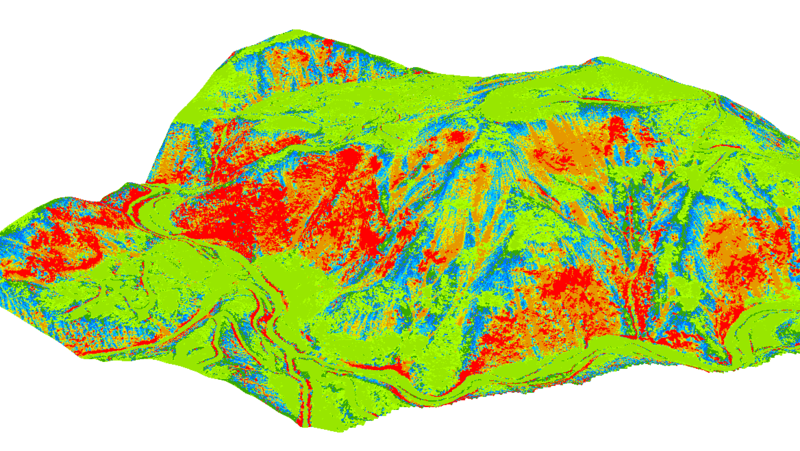 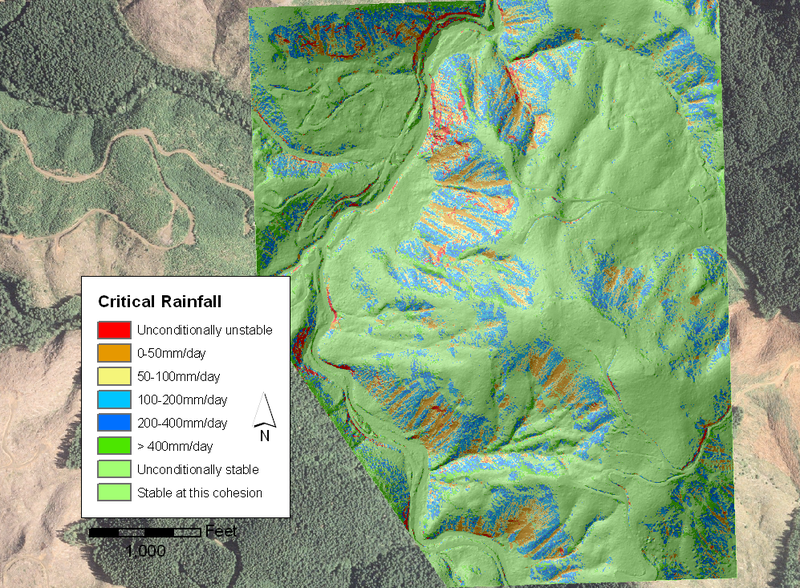 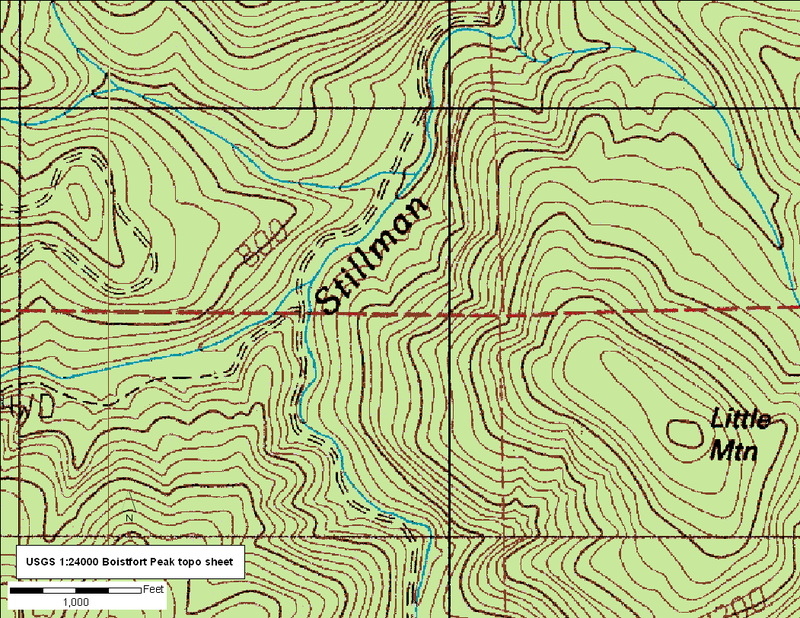 This is a quick slope stability modeling analysis of the slopes of Little Mountain near Stillman Creek in Lewis County. 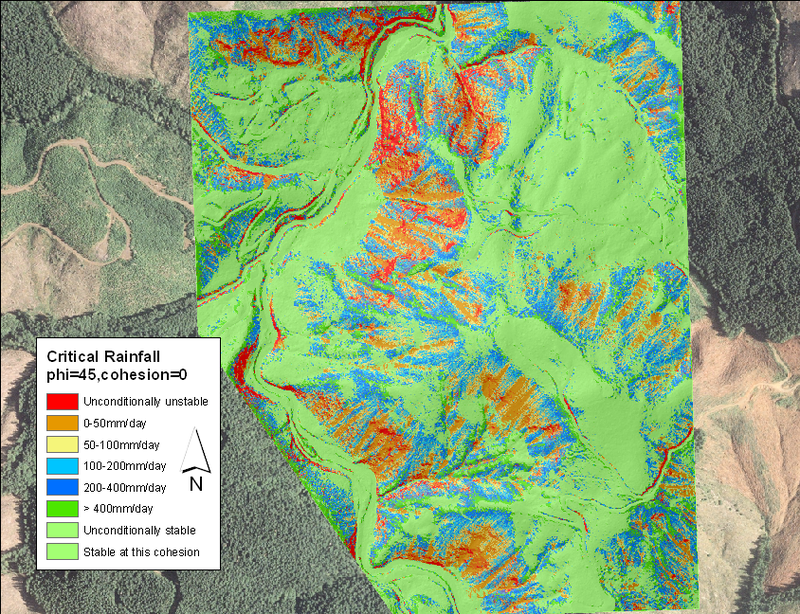 Imagery is the one-meter NAIP orthophoto series from the summer of 2006. 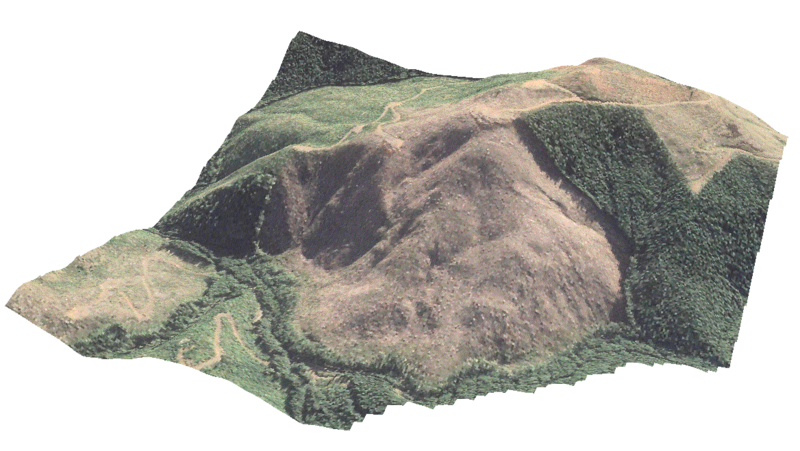 The 10-meter DEM is a USGS product derived from the USGS 1:24,000-scale topo sheets. 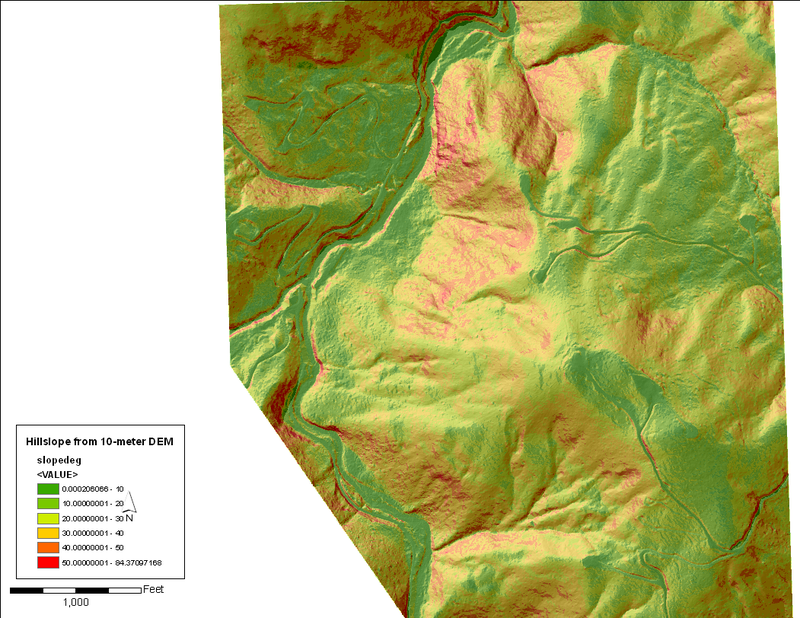 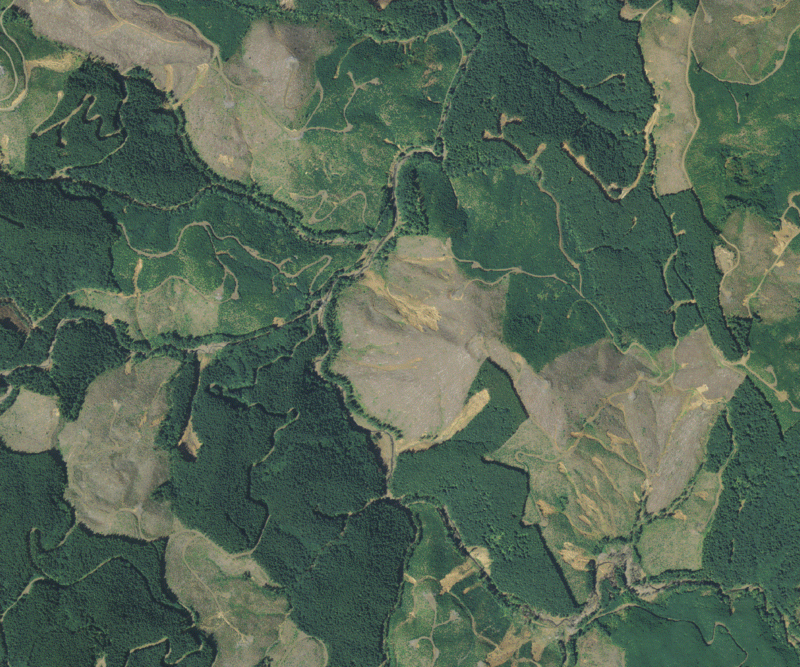 The 3-foot DEM is from a survey flown last winter by the Puget Sound Lidar Consortium. 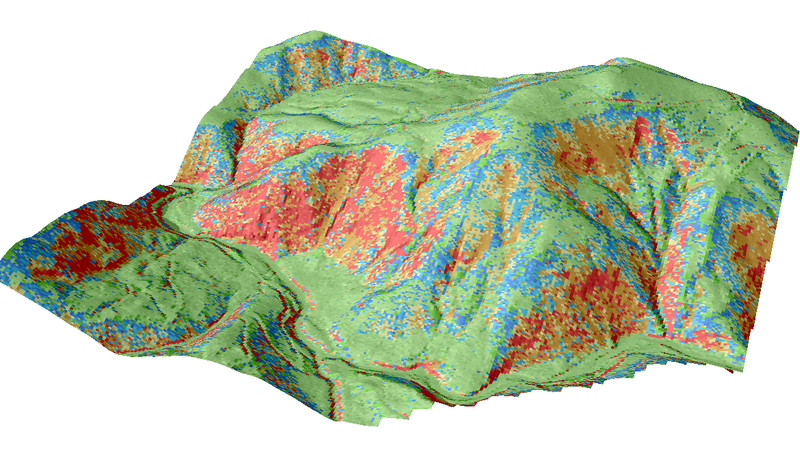 It is the first of the Consortium data to be flown at 8 pulses/meter and gridded at this resolution. 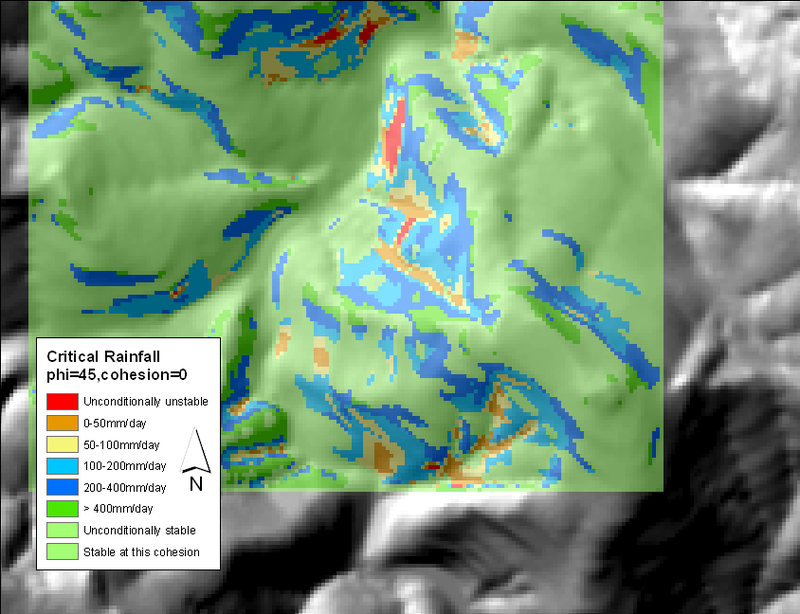 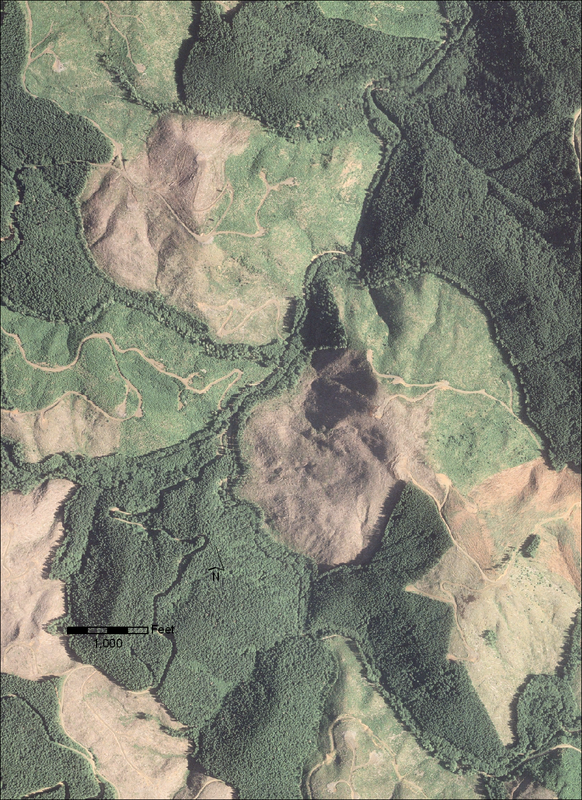 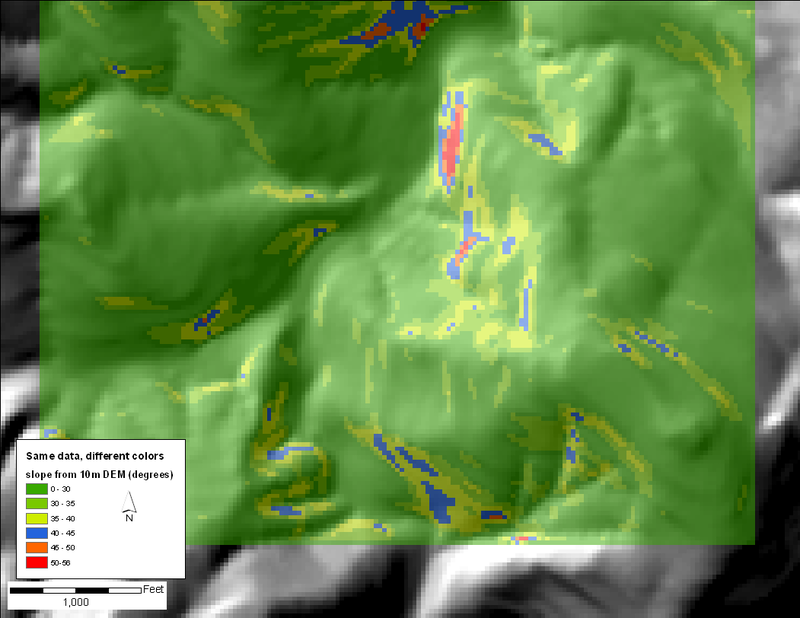 and here are model results with cohesion of 4 kiloPascals, a value closer to the strength before clearcutting. 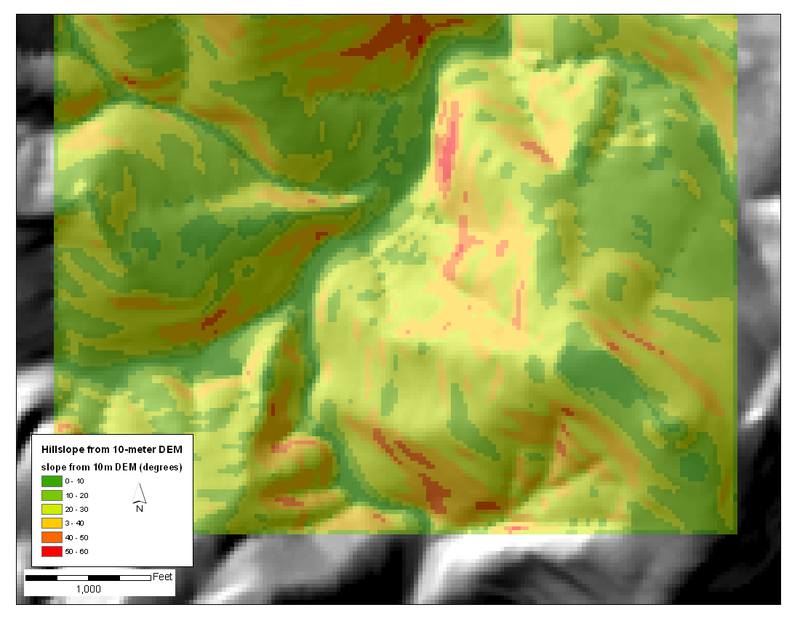 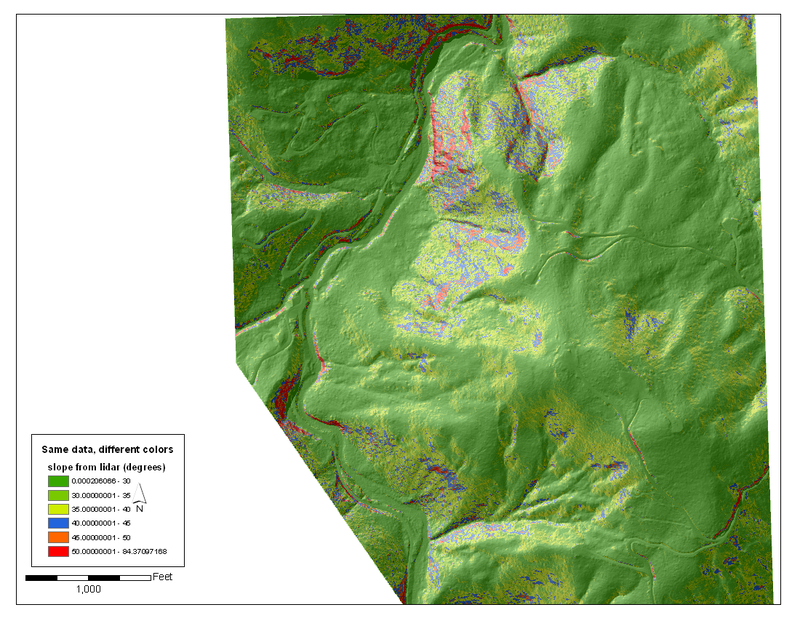 Following are slope maps, created with 2 different sets of class breaks. Following are results of the simple version of SHALSTAB, using no cohesion, but increasing the friction angle to compensate. 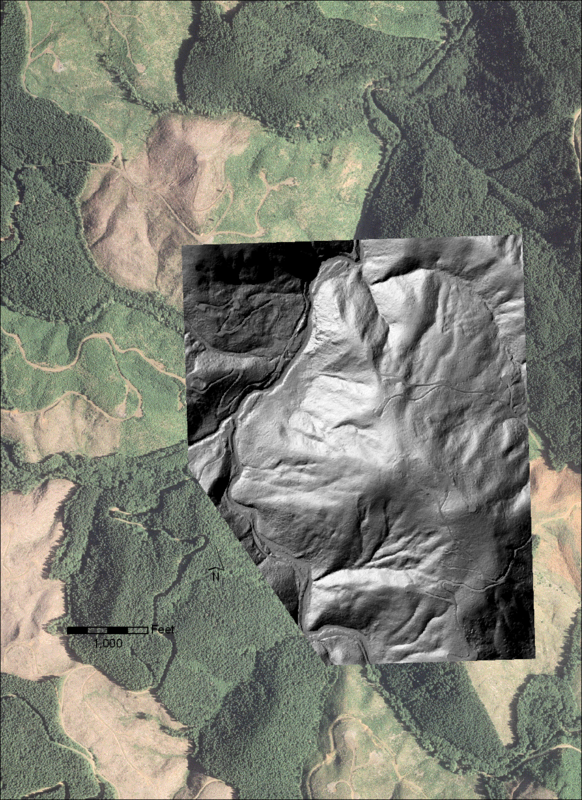 NAIP 2009 orthophoto. 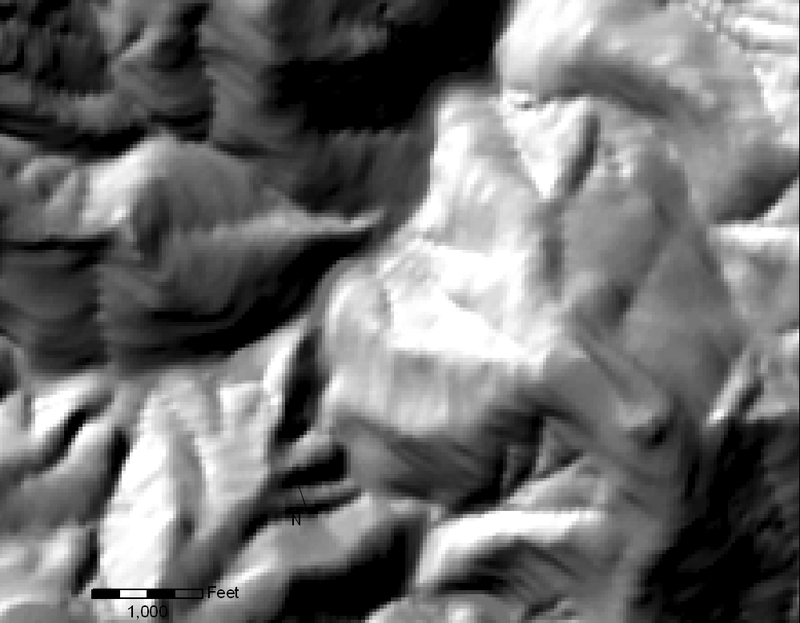 This is a four-band image with one-meter pixel size. 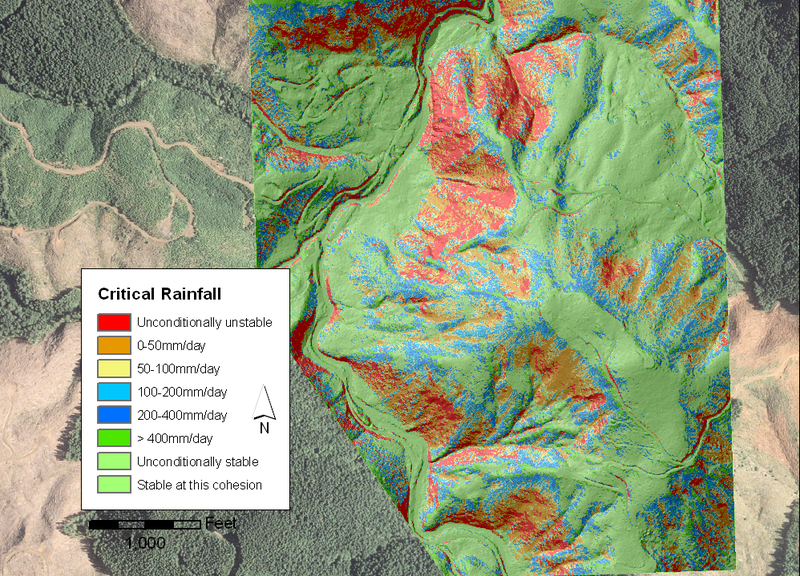 Landslides as mapped by DNR from the Seattle Times post-storm photo.